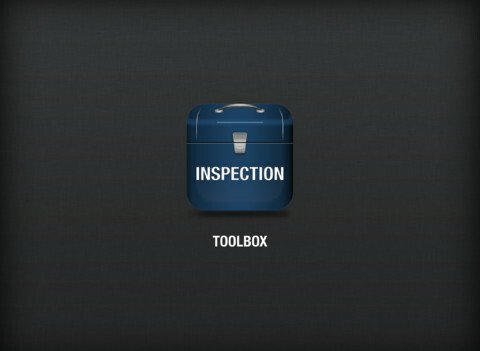 Inspection Toolbox was created to revolutionise and standardise the way inspections are performed on everything from component parts through to entire systems. 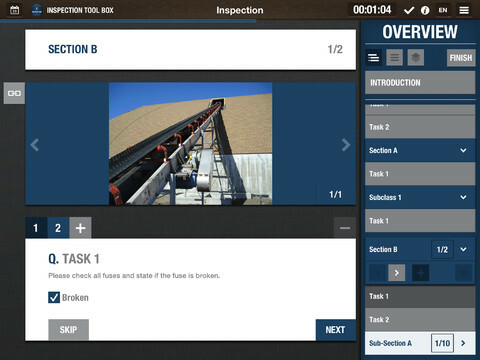 The Inspection Toolbox Application allows authors to create entire inspection workflows from simple step by step, to complex iterative and deeply nested recurring workflows. Controllers can schedule the inspections, assign inspectors, split jobs over multiple inspectors, and review the inspection outcomes, simply and easily…replacing current manual processes for inspection and reporting. Inspectors can manage their workloads, accept and reject jobs (which can be rescheduled) and hand over jobs mid process to avoid re-work and support a more flexible work methodology. Increasing efficiency and productivity and providing a rapid return on investment are all key outcomes of implementing Inspection Toolbox. Inspection Toolbox is particularly valuable in manufacturing and resource industries, where machinery and other physical assets are constantly being inspected and have a demand to meet high performance and safety standards. 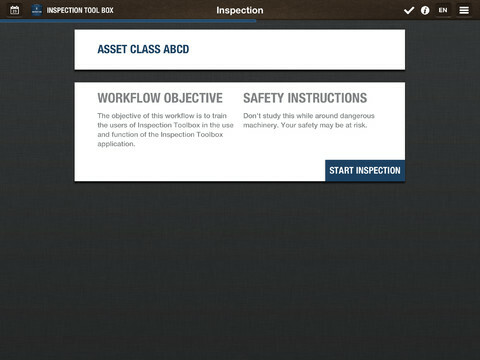 Unique Inspection Toolbox workflows enable the same inspections to be carried out repeatedly, and the software enforces compliance to given sets of inputs and standards. This is NOT a simple forms application! 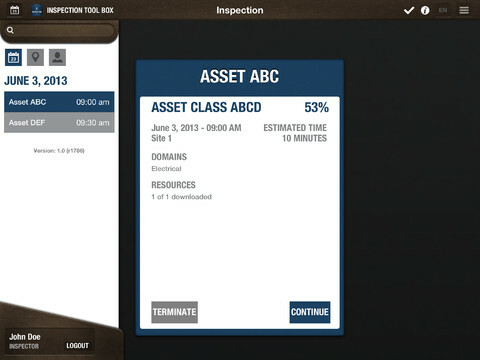 Inspection Toolbox is made up of one of the most advanced interfaces designed to date on a mobility platform and utlilises programmatic algorithms to provide infinitely configurable workflows that can work on massively complex asset hierarchies, down to the individual nut and bolt on an aircraft carrier.